The news reporting is the same. Same angles, views and I suspect that is the same pencil used to sketch and draw the same conclusions. The words used to describe race relations remains unchanged: allies and hate mongers, race cards and race baiting, tolerance, forgiveness and reconciliation. We reach conclusions that are the same as before. And no matter what is said or how often we say it, we agree that we need to talk about race. But, we do talk about race and we do hear more about prejudice and racism. Now apart of the twenty- four hour news cycle, unsolicited and unfiltered YouTube commentary, hash tags and trending topics, there are many conversations being had. Consequently, the news about (suspected) race- related incidents is spreading and spreading quickly. Because there is a smart phone in the room, persons may not tell racist jokes– even when behind closed doors. Dashboard cameras and private citizens videotaping police interactions also limit what is hidden behind the badge. 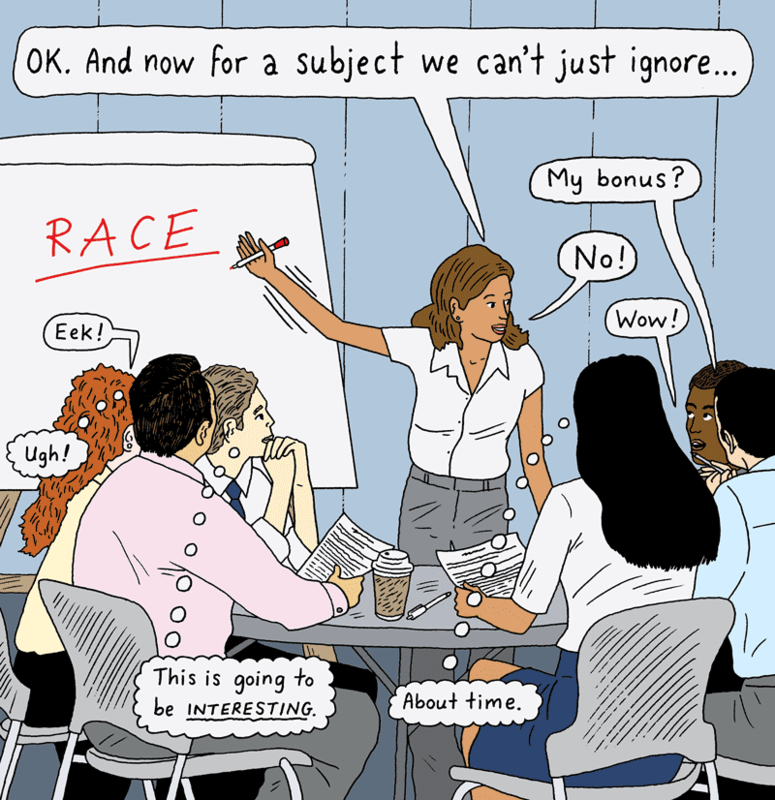 We are seeing more of the personal, social and systemic works of race. Yet, we are not able to talk ourselves of it. Why is this? I think that I have an idea. Now, this is just a theory. I don’t wear a lab coat and I have no experiments or lab rats, dead or alive, to support my findings. But, I believe we have created a prejudice about conversations about race and that once we hear the word race, we already hear what we have come to expect or experience. What do we do about it? Stop making assumptions as to how the conversation will go. We cannot begin a conversations with conclusions as to how this is going to end. Instead, start from beginning. Begin with introductions not assumptions. Learn their name and their story. Race is not personal and will not tell you about them. We must also be aware of the prejudices that we bring to conversations about race. We must ask ourselves if we want to have a friendship or a fight. Be sure that the other person agrees to this end before you engage them. Question yourself and your intentions. Have you worked through your issues with race in order to be ready for a cross- cultural conversation and relationship? Do you want a conversation or a verbal wrestling match? Do you want this interaction to win- lose or win- win? What is your goal, your aim for talking about race? And begin to listen and hear what is being said in order to say something new. Conversations about race are defensive in nature. Removing the assumptions will allow us to lower our guard and allow a new perspective to enter. We not only need to stop and listen but we need to slow down and think. Think our responses through and let them be for this moment and in this instance. We cannot tackle and should not take on hundred of years of history and millions of hurts in one sitting. Instead, let’s do something new. Let’s take it one day at time and one person at a time.